Do You Realize How Dangerous It Is to Drive a Taxi? Taxi and livery drivers suffer homicide rates twenty to thirty times higher than other occupations. So many of my fellow drivers lost their blood or are permanently injured, even died, from attacks while just doing our job of serving the public. We need real protection. Maybe the man who stabbed me in Brooklyn Heights would have thought twice if he knew the city valued my safety. The next day, the City Council affirmed the value of Ul Haq’s safety by passing the Taxi Driver Protection Act, which requires stickers to be posted in taxi, livery and other for-hire vehicles that state that “Assaulting a Taxi or Livery Driver Is Punishable Up to 25 Years in Prison.” The warning is based on existing state laws enhancing penalties for assaults on drivers (public transit drivers have similar extra protection); the new rule, now pending the Mayor’s signature, bolsters the legislation with notices for educating the public. It parallels other laws for warning signs about penalties for assaulting drivers in Pennsylvania, Illinois and California. Though the signs could have some direct deterrent effect, passengers already determined to brutalize their drivers might not be instantly dissuaded by a warning sign. But a major thrust of the legislation is simply to remind the public of the hazards cabbies face. 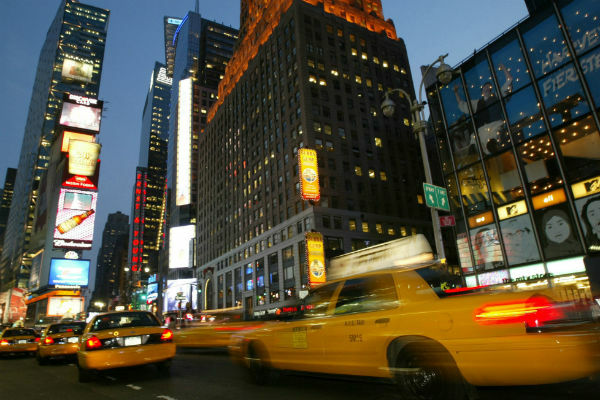 Taxi and for-hire drivers suffer homicide rates of twenty to thirty times higher than all workers on average (in 2007 alone, the federal government documented thirty-seven driver homicides), and the NYTWA has pressed city authorities for more rigorous enforcement of work-related injury protections. “The law should…provide reason for the District Attorneys’ offices and NYPD to collaborate on a dedicated investigations and prosecution unit,” stated NYTWA Executive Director Bhairavi Desai. “The level of seriousness has to be established at the top to trickle down to the streets.” The alliance has also campaigned for years for better healthcare protections and safer working conditions overall. In addition to the threat of criminal assault, cabbies face the day-to-day physical strain of being behind the wheel all day, working outdoors yet in cramped quarters and near-total isolation. Ul Haq’s story is not isolated, and some recent incidents involve an ugly element of racial animus. In 2010, Ahmed Sharif was slashed in the neck by a passenger who hurled anti-Muslim epithets. Earlier this year, in another alleged hate crime incident, Mohammad Ali Fahd was brutally beaten with a skateboard by a passenger who reportedly harassed him about his immigrant background. The passage of the legislation comes at a rollicking time in the New York City car-for-hire industry. Also this week, Uber drivers rallied for higher wages and fairer working conditions. Although “ride-share” ventures like Uber and Lyft, which operate less like traditional driving companies and more like freelance driver networks, have developed into a formidable, Silicon Valley–fueled competitor to traditional cabs, all these professional drivers face similar safety risks. Since they’re typically using private cars, Uber drivers may be even more vulnerable; the company has sparked controversy in recent months for pushing for weaker insurance protections against work-related injury. All working drivers, whether official cabbies or ride-sharers, face an uphill battle in the struggle for concrete labor protections. And Uber and Lyft workers are included under the new warning-sign bill. Desai tells The Nation via e-mail, NYTWA “argued for them to be included to bring an important uniformity to the law,” across all yellow cabs and for-hire cars. Yet the NYTWA’s successful campaign around protections for professional drivers raises important questions about the need for regulation of the industry, even if cabbies technically do not count as employees of the cab company, but as independent contractors. As the driving vocation becomes increasingly deregulated and privatized, government oversight will likely yield as market competition accelerates, and workers may pay the cost in safety. Cabbies may be on their own on the streets, but the risks they face on the job is everybody’s business.